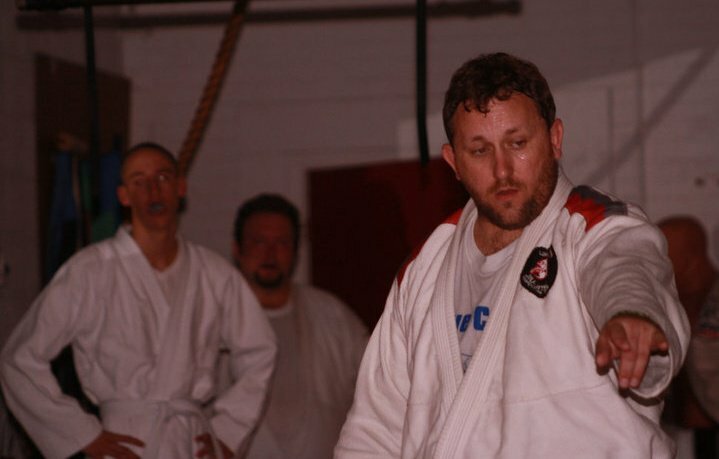 Professor Johnson was introduced to Brazilian Jiu-Jitsu in Elizabethtown upon graduating from High School in 1996. In those days quality instruction or even quality training partners were very hard to come by. His first introduction to organized Jiu-Jitsu instruction was with Rickson Gracie student, Eric Silver in Nashville while he was attending Western Kentucky University. Also during this time Josh met and trained with Troy Turner during weekends and summers. Troy ran a Gracie Academy affiliate school in Louisville. While at WKU Josh traveled to Nashville to train 2-3 times a week. In addition, he also began training Judo in Bowling Green, developing a strong knowledge base in throws and ne-waza. He became an avid competitor in Judo, winning several tournaments, including state and collegiate championships. 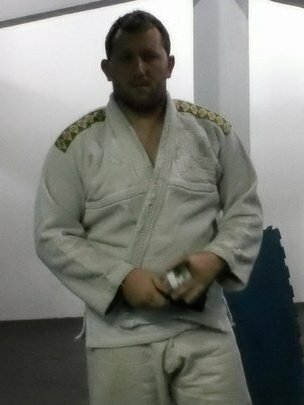 His journey in Brazilian Jiu Jitsu was still going forward during this time. His style eventually became a nice mix of the two art forms. In 2006, Josh was awarded the rank of faixa preta (black belt) in Brazilian Jiu Jitsu by his Master, Luiz Palhares. He continued to develop his game during this time, while also focusing on building very strong competitive athletes. The team routinely competes in mixed martial arts bouts, submission grappling tourneys, and Brazilian Jiu Jitsu competitions. One of Professor Johnson’s main influences throughout his journey has been none other than the legendary Brazilian Master Fernando Pinduka. Josh trains yearly in Brazil at Pinduka’s academy. Master Pinduka is one of the most decorated figures in the history of Brazilian Jiu Jitsu. His teachings have blended with those of Master Palhares, to give Professor Johnson a style that is unique to say the least. Professor Johnson is currently a 3rd grau(stripe) black belt under Master Palhares, yet still considers himself an eternal student of the art he loves. Athletes: UFC signee, Bellator vet, Professional MMA Fighters have fought all over the United States. Local regional and international grappling competitors. MMA team has nearly 400 wins. Fighters have accumulated over 20 professional and ammy titles.